Without some sort of plan or framework, it is very easy to get lost along the way. 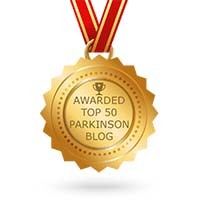 Whether you have Parkinson’s disease or not, just having goals may not be enough, as unexpected obstacles can arise at the most inconvenient of times. There is so much in our lives that we can’t expect, but must just accept and move on, as best we can. Our perspective and flexibility can impact how we deal with adversity. The following few tips are some thoughts and suggestions that you may want to consider. I hope that these tips might trigger some revelations for you. Consider building a series of plans from your personal medical team, your support network, your health team (trainer, physical therapist, massage therapist, speech pathologist, etc.). Some of these networks may overlap and vary as your providers may change over time. Keeping current on developments and timely releases about your illness is not only empowering but beneficial to both you and those who you choose to enlighten. 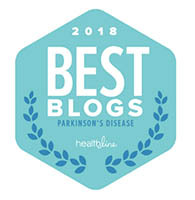 If you have early onset Parkinson’s disease, I strongly suggest for you to consider finding a Neurologist who is a Movement Disorder Specialist, as they have special training dedicated to this illness. Don’t compare or contrast your Parkinson’s to anyone else’s. 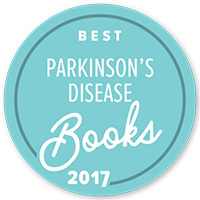 We each have our own flavor of Parkinson’s and we each have our own unique journey. Timing our medications is a crucial component to making the most of our day. Maintaining and strictly adhering to a timely regimen where your medications can work at their best, takes experimentation and some trial and error. Try not thinking of illness of any kind as a war, a battle, or a win or loss. Consider illness as an obstacle or an obstruction that must be worked around. No one wins a war. War is dark and violent. Maybe, a new perspective towards illness can take some of the anxiety out of it. Explore the numerous therapies outside of western medicine to see if you can find one that offers benefit or relief. Get good referrals from friends and family. Keep an open mind to relinquishing some of the responsibility for the good of lowering your stress level and improving your mental health. Do what you can, while you can! Whether you are healthy or have illness in your life, consider that our control is limited. While there is definitive change in our lives and the options may vary or seem more limited, we must recognize that we have more strength and control than we realize.